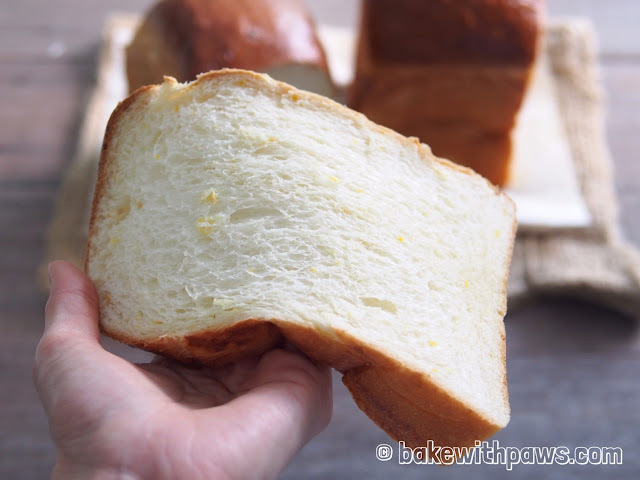 This is another soft and fluffy bread by using the sponge dough method. 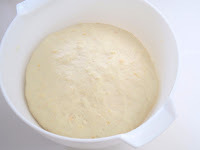 Combine water, yeast and sugar in a mixing bowl. 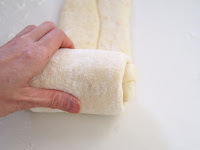 Then mix in bread flour and knead with your hand for few minutes until smooth and shiny. Roll into a ball and place in a greased bowl. 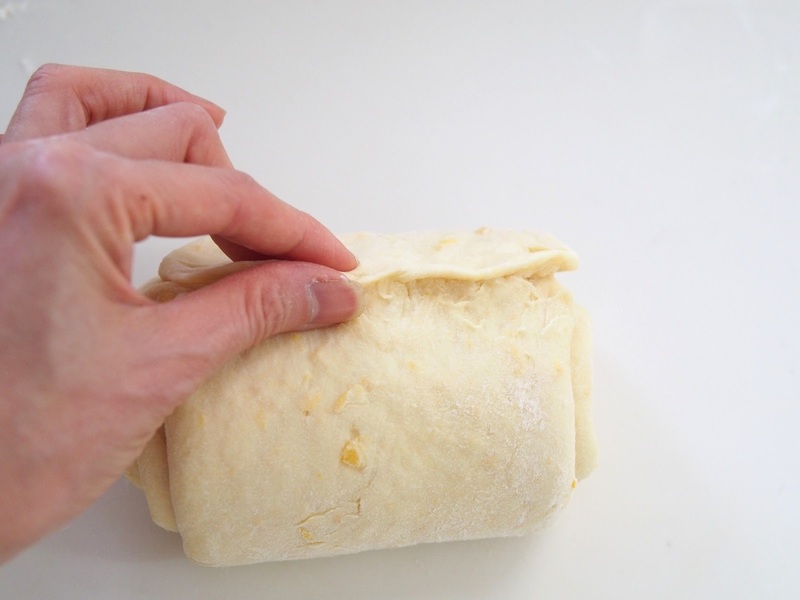 Cover with cling film and let it prove for 1 hour in a warm and dark place. After 1 hour, place into the refrigerator and use the next day at least after 10 hours or up to 16 hours. 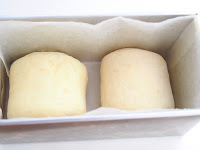 30 minutes before using, take out the sponge dough from refrigerator to return to room temperature. 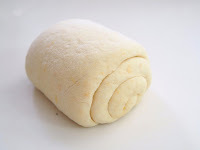 Put all main dough ingredients and sponge dough in a bowl of stand mixer and knead till the dough come together, until achieve window pane stage (the dough at this stage should be able to be pulled and stretched into membrane). Form the dough into a round ball and let it rise in a warm place for 60 minutes or until double in size in a large greased bowl, covered with cling film or kitchen towel. 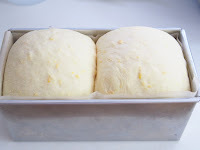 I normally leave the dough in the stand mixer’s bowl and cover with kitchen towel. Punch down the dough to release the air. 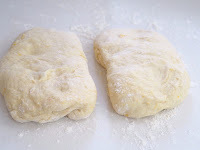 Transfer the dough to a clean floured surface then divide into 2 equal portions. Roll out each dough with a rolling pin into long rectangle shape. 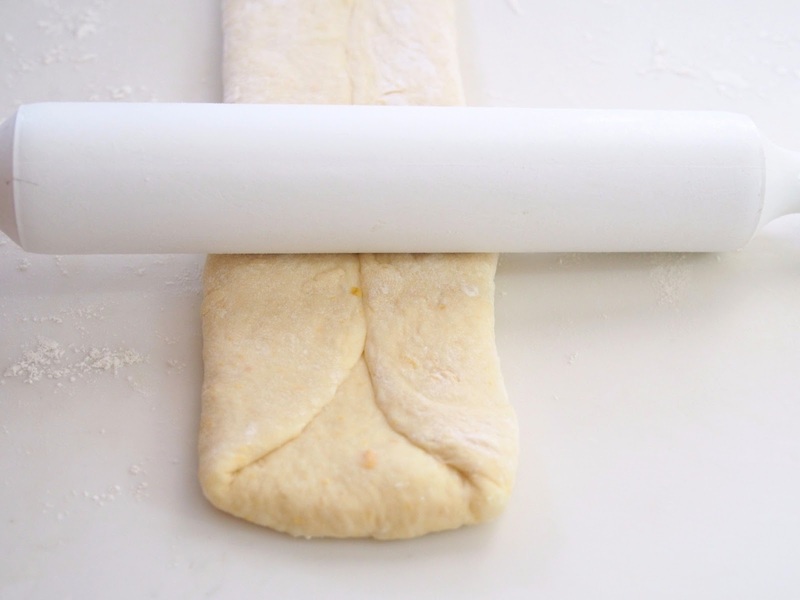 Fold the two sides to the centre. 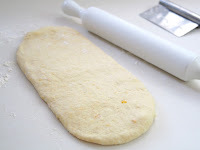 Roll flat with rolling pin again. Roll up like swiss roll and place all dough in a pullman loaf pan lining with non-stick baking sheet without lid on. Let it rise for another 50 -60 minutes or until double in size. 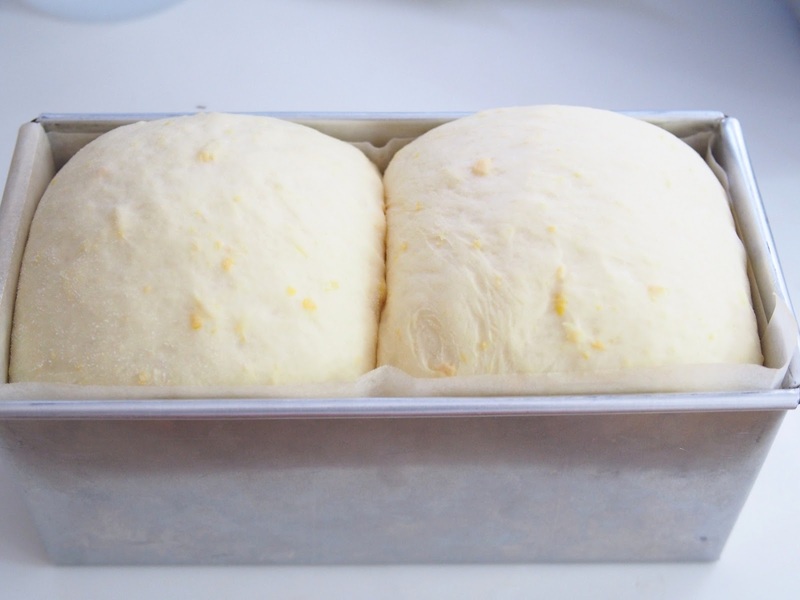 15 minutes before baking, preheat the oven to 190°C. 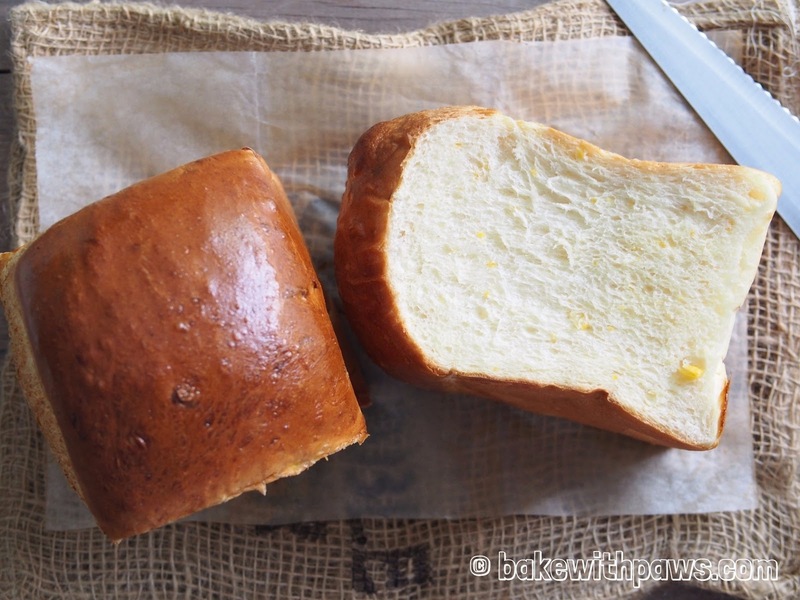 Brush with egg wash (optional) and bake 30 minutes, or until golden brown. 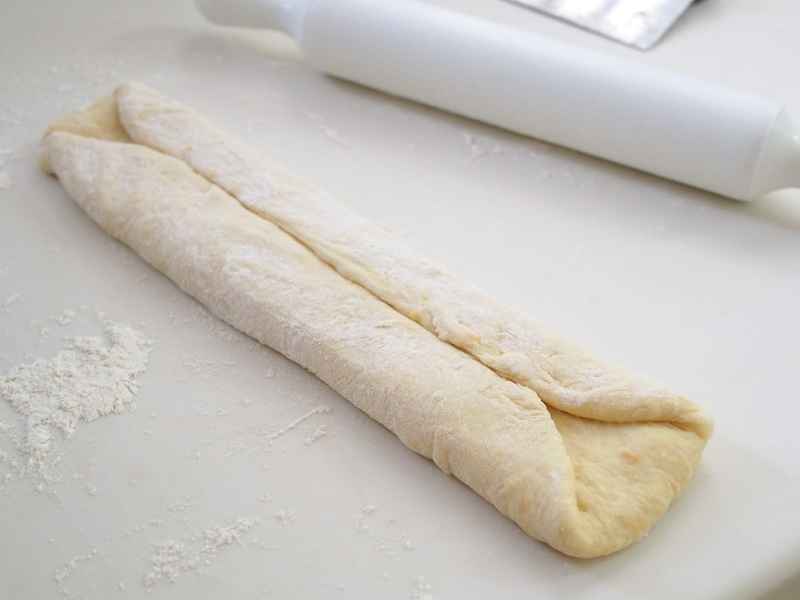 Remove bread to cool on rack completely before slicing.